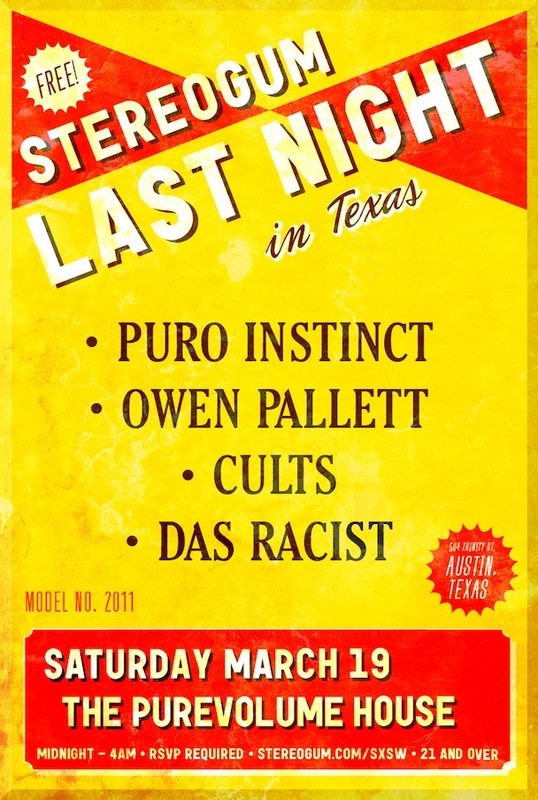 One of the final SXSW parties, Last Night in Texas takes place March 19, from midnight to 4 AM at The Purevolume House in Austin. The lineup features four phenomenal performances, accompanied by an open bar all night long. Check the details after the jump. The event is hosted by Stereogum, a premiere indie music news website. To RSVP to the free, 21-only event, click here.